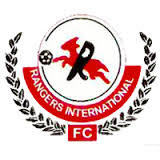 By JOHN PAUL NNAMDI The Oriental Derby in Nnewi between Federation Cup holders, FC Ifeanyi Ubah and The Nigerian Professional Football League champions, Rangers, is the key game as the NPFL slides into Match Day 6. Table toppers, Plateau United are also in for a caustic test as they storm Lafia for a date with the Solid Miners. Meanwhile, in Uyo, fans of the Promise Keepers will be on guard for a tricky tie with Remo. The Uyo based side are at the foot of the table, so anything less than 3 points is misfortune. The Pick FC Ifeanyi Ubah vs. Rangers For some salient reasons, this derby headlines Match Day 6 and it is also a very vital tie for both sides. Rangers have not lost on the road this season, but that does not mean they have had an admirable start; managed to reap 6 Points from a possible 15 and are placed 12th on the log. Their host, the Anambra Warriors, began their home biddings with a 4-0 humiliation over MFM FC and then was forced to share the spoils with Rivers United; Rangers is their third opponents at home this season and it gets tougher. Last season, the tie in Nnewi ended 2-0 in favour of the homers, with beautiful piece of displays credited to the side then led by Rafael Everton. However, the new gaffer, Yaw Preko still have an army of lads who are used to hard-hitting encounters like this, as in Nigerian football context. On the attack of both ends, it seems providential that last season’s major headliners will be starring: Godwin Obaje who recently pitch tent with the Nnewi outfit and Chisom Egbuchulam who is still with the Rangers persuasion. This, conceivably, will be the their last outings before they kick-off their continental campaigns. Any result recorded in this derby, sets the tone for the next, important fixture. Think bragging right, think rivalry, think retaliation; none of this should consume the concentrations of the actors. This is an opportunity to put finishing touches to months of preparations and demonstrate how well the season will go, both domestic and continental, for the clubs. Key Actors FC Ifeanyi Ubah Prince Aggrey Ngoma Luamba Godwin Obaje King Osanga Seka Paskal Tamen Medrano Rangers Bobby Clement Kalu Orji Obinna Nwobodo Chisom Egbuchulam Fortune Omoniwari Position FC Ifeanyi Ubah 18th Rangers 12th League Form Guide FC Ifeanyi Ubah LWLDL Rangers LDWDD Other Fixtures Nasarawa United will host high flying Plateau United who are leading the pack and have yet to lose a game since the commencement of the 2016/17 Nigeria Professional Football League (NPFL) season. It will take great courage for Kennedy Boboye’s lads to continue their unbeaten run in Lafia. The other unbeaten side in the league, Rivers United is on a road trip to Ibadan where they will lace up against Shooting Stars. Their host are not having a good season so far; with 4 points after five games and occupying the second to last position on the table, Fatai Alao’s men will be poised to hold their own against the visitors. Niger Tornadoes and Katsina United will slog it out at the Confluence Stadium, Lokoja. Tornadoes go into the game following an impressive away draw in Enugu. 11th placed Kano Pillars will welcome ABS FC to the Sani Abacha Stadium. ABS is 3rd on the log and the NPFL newcomers will have an intriguing time in Kano against a star studded Mai Su Gida. After holding Rivers United to a barren draw in Port Harcourt, Godwin Uwua’s Lobi Stars expect a crunchy tie against Wikki Tourists at the Aper Aku Stadium, Makurdi. Like other continental candidates, Wikki will leverage on this game to sharpen up for continental duties. 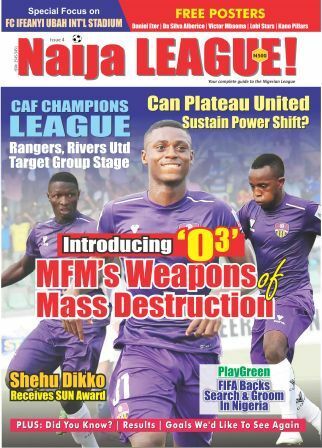 In the south-west, Sunshine Stars welcome MFM FC. The Fidelis Ilechukwu led side put up a strong character against Kano Pillars in Lagos and Sunshine should expect a stiff opposition against the lads who are 2nd on the table. Enyimba travels all the way to Maiduguri to honour a meeting with El-Kanemi Warriors. El-Kanemi’s home record is top notch, thus Enyimba’s hope of getting a decent result will come against a compact side put together by Ladan Bosso. Manu Garba leads his wards to Umuahia to face Abia Warriors. Both sides settled for a draw in their previous outings, therefore, a victory will be important, especially for Abia Warriors who are playing at home back-to-back. For Uyo fans, the days of Abdul Maikaba are numbered. Unexpectedly, Akwa United are the bottom team after 5 games. This is not a good reputation for Maikaba who secured a continental place for Wikki last season. Interestingly, he has another opportunity to make potent his impressive credentials. Akwa United hosts Remo Stars at the Godswill Akpabio Stadium, Uyo.